We are happy to announce that starting today Nuki integrates with the popular service IFTTT (« If This Then That »). IFTTT enables you to use “Applets” that bring the services you love closer together to create new experiences. The services featured on IFTTT include many of the apps and devices you use every day, including Facebook, Twitter, Google Drive, Philips Hue, Amazon Alexa, Nest and now Nuki. Many of our supporters have reached out in the last few months requesting integrations that give them more freedom to adapt Nuki to their individual needs. IFTTT was by far the top requested service on our users’ wishlists. 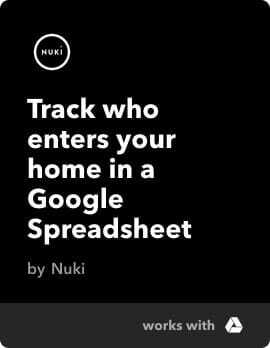 Therefore, we believe partnering with IFTTT creates the ideal extension to Nuki’s core feature set giving you the power to fit Nuki closely to your personal lifestyle. 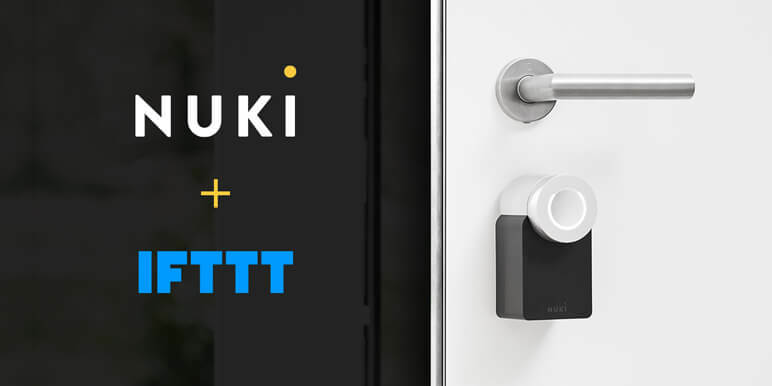 In the Nuki IFTTT Channel you find Applets to lock and unlock your door at a specific day and time, get notified if someone enters your home, track all locking operations, automatically turn your lights off when you leave your house and much, much more. 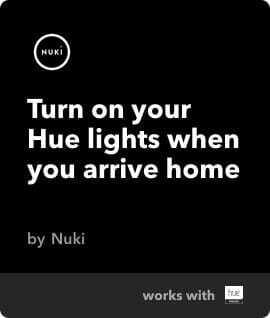 Before you get started with IFTTT, you have to activate Nuki Web with your Nuki smartphone app. 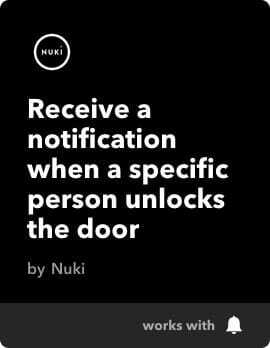 First of all, open the Nuki app on your smartphone and tap on the Smart Lock that you would like to connect to IFTTT. Enter the lock settings and go to “Manage Smart Lock”. You’ll find the option “Activate Nuki Web (IFTTT)”. Follow the instructions in the Nuki app to move forward. Nuki Web is available to all Nuki users starting today and offers you an open API as well as easy management of your Smart Lock on your computer. Invite new users to your Smart Lock, limit access to specific days and times for individual users, perform bulk actions to edit existing access permissions with one click, or lock and unlock your door – all directly in your browser. To connect your Smart Lock to Nuki Web you must use a Nuki Bridge. 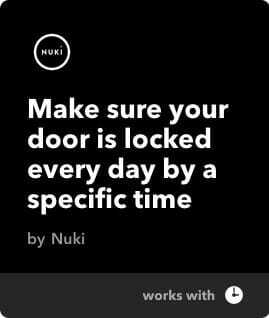 Nuki Web is required in order to connect your Smart Lock to IFTTT. Once you have activated Nuki Web, visit our Nuki IFTTT Channel to add one of our suggested Applets or create your very own. We are excited to see Nuki helping you making your daily life easier are looking forward to your thoughts and feedback.